Historical research was somewhat elusive for most until the advent of the internet. Research generally required hours of travel to State Archives or libraries, which held vaults full of often mis-categorized paperwork, and then more countless hours literally digging through file drawers of this and that, trying to put the pieces of the puzzle together, much like trying to connect random dots. Hence, early books often contained a myriad of false information. As a relative of Bill Wilson (co-author of Spirits Bottles of the Old West) once told me; he'd spend hours at the archives in Sacramento going through the files and looking at old labels in an attempt to document a certain brand, agency, or proprietor. But, if he couldn't find "it", he'd just pull something out of his ### and figure it was up to someone else to disprove it. Innocent enough, but detrimental to the hobby just the same. Same goes for Dr. Julian Toulouses "Bottle Makers and Their Marks". Among other glaring errors, he "documented" the now infamous H base mark, which he attributed to a non-existent Holt Glass Works. Again, innocent enough, but still a problem. Recently, there has been much discussion about what constitutes a "western bottle". The general consensus arrived at is that a bottle is truly "western" if; it was blown in the west and intended for distribution solely by a western concern. An exception would be if a bottle was blown in the east for a western concern, and intended for distribution solely in the west, by a western concern. The same basic criteria applies to a "Nevada" bottle. An article appeared in the current issue of the FOHBC's magazine, "Bottles and Extras ". 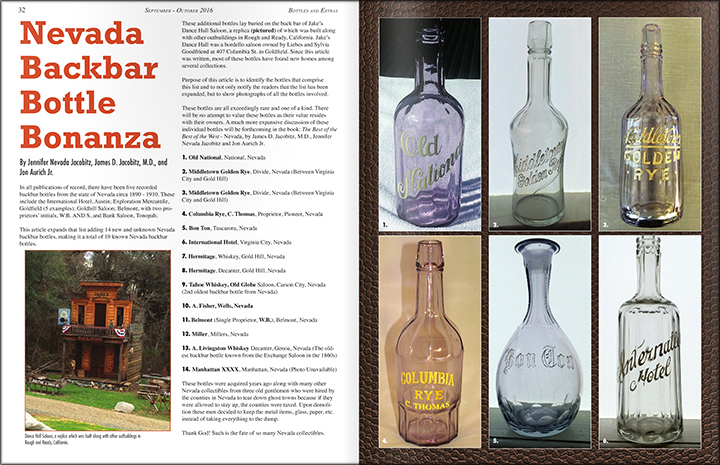 The article, starting on page 33, was entitled "Nevada Backbar Bottle Bonanza", by Jennifer "Nevada" Jacobitz, James D. Jacobitz M.D., and Jon Aurich Jr. 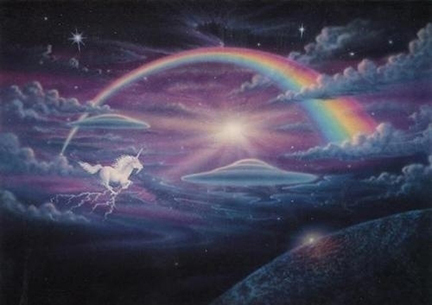 I read the article in awe, thinking that this was more a treatise on "Unicorns and Rainbows" than it was a well researched, factual presentation on western whiskeyana. 1) Old National - allegedly National Nevada. Fact; Old National was registered to BERNHEIM BROS. of Louisville, KY. It is NOT a Nevada bottle. 2) Middletown Golden Rye - allegedly Divide, Nevada. According to the article, a generalized reference to the area located between VC and Gold Hill. The town of Divide was actually located in the southern part of Nevada, just south of Tonopah. Talk about a stretch here... Unable to locate a MiddletoWn link to any particular distiller or wholesaler, although CHARLES L. RICHARDSON & SON of Boston, MA. had Middleton registered to them ca. 1900. Another reference suggested that Wire-Welsh & Co. in New Middletown Ohio also owned rights to the brand, although I was unable to verify this. Regardless, it is NOT a Nevada bottle. 3) Middletown Golden Rye (#2) - see #2 above. It is NOT a Nevada bottle. 5) Bon Ton - allegedly Tuscarora, Nevada. The "Bon Ton" brand was registered to Strauss - Pritz & Co. of Cincinnati, OH. The faceted bulbous style back bar decanter is in keeping with east coast back bar decanters. Nothing found to indicate that this was a Nevada brand. It is NOT a Nevada bottle. 7) Hermitage - allegedly Gold Hill, Nevada. The brand was registered to W. A. Gaines & Co. of Frankfort, KY. The nearest reseller of the brand that I could locate was John Sroufe of San Francisco, who had rights to it ca. turn f the century. Nothing found to indicate that this was a Nevada brand. It is NOT a Nevada bottle. 8) Hermitage (#2)- see #7 above. It is NOT a Nevada bottle. 9) Tahoe Whiskey / Old Globe - allegedly Carson City, Nevada. Unable to locate a pre-prohibition "Tahoe Whiskey" or "Old Globe" (in any context) link to any particular distiller, reseller or wholesaler. An "Old Globe Saloon" is located at 407 No. Curry in Carson City. According to the E. Clampus Vitus plaque, the original was built in 1870 on Carson St., at a different location than the current bar. It was closed down by prohibition ca. 1918. The current location was built in 1971. A Tahoe Rye Whiskey is currently being made, but I was unable to find anything remotely linking it to turn of the century western whiskeyana. A Tahoe Soda Springs existed at Lake Tahoe ca. 1900 - but no relationship found between the two. My gut feeling is that it has the "right look" to be western. If so, it's a hitter. Jury is still out - may, or may not, be a Nevada bottle. 10) A. Fischer / Wells, Nev. - Allegedly from Wells, Nevada. Well, it does say "Wells, Nev." Kinda takes the guess work out of this one. 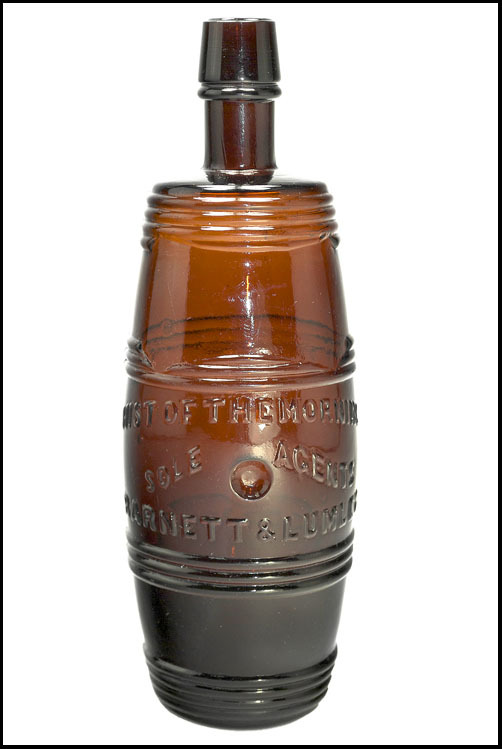 A rare and desirable amber cylinder with white enameled lettering. This is a top shelf back bar that any advanced collector would welcome into a collection! 12) Miller - Allegedly from Miller, Nevada. There are two brands of whiskey spelled "Miller", without being plural (Millers). "Miller" Rye was sold by Adler, Furst & Co. of St. Louis, MO. "Miller" Pure Rye was sold by Miller Dist of Ryeland , PA. A Miller / Stewart brand was sold by Miller - Stewart of Louisville, KY. Nothing found to indicate that this was a Nevada brand. It is NOT a Nevada bottle. 13) A. Livingston Whiskey - Allegedly from Genoa Nevada. "Livingston" was registered to National Distilling Co. of Milwaukee, WI. The style of the decanter strongly suggests east coast origin as well. I found no reference to an "A." Livingston brand. "M. A." Livingston was listed as a retailer of liquors in San Francisco ca. 1914 - 1915. Livingston & Co. did business as liquor wholesalers, also in San Francisco, ca. 1867 - 1917, but did not offer a "Livingston" brand, instead they pushed Pride of Ky. and A. A. Occidental. Nothing found to indicate that this was a Nevada brand. It is NOT a Nevada bottle. In closing, I'd like to go on record as saying that the internet has opened many doors for us in terms of solving mysteries. It has also provided an avenue for some to publish mis-information which sadly, is taken as gospel by others. I'd like to strongly encourage readers to do their due diligence before assuming that everything they see in print, or on the internet, is the truth. In the case of this article, only one bottle can be definitively attributed to Nevada; the A. Fischer / Wells, Nev. Other bottles conceivably may have lined the back bar of a Silver State saloon. The operative word is "may". A bottle is truly "Nevada" if; it was blown in the west and intended for distribution solely by a Nevada concern Or if a bottle was blown in the east for a Nevada concern, and intended for distribution by a Nevada concern. If not, it can be considered about as much a Nevada bottle as a Paine's Celery Compound found lying under the sage brush on the outskirts of VC. PS: Many thanks to Robin Preston for providing access to his database. It proved, once again, invaluable especially in assisting with the research for this article! "I read with interest the article in the Sept-Oct 2016 issue of "Bottles and Extras" that attributed 14 new NEVADA back bar bottles, and that each one was "rare and one of a kind" to quote the article. I am kind of a stickler on accurate research, and that quote and the idea that these are NEVADA bottles, not NATIONAL bottles, seemed incorrect. Also, it seemed incorrect to assume the name on some of these bottles represented the names of Nevada towns! 1. Old National is a national brand sold by Bernheim Bros of Louisville Kentucky, their back bar bottles were issued to other bars and saloons. Not from the town of National Nevada. 2 & 3 . Middletown Golden Rye was also a National Brand, sold from New Middletown Ohio. Other examples exist. Not from Divide. 4. Columbia Rye was a national brand sold out of Baltimore, but the "C. THOMAS" could make it a local Nevada bottle if proved thru research. 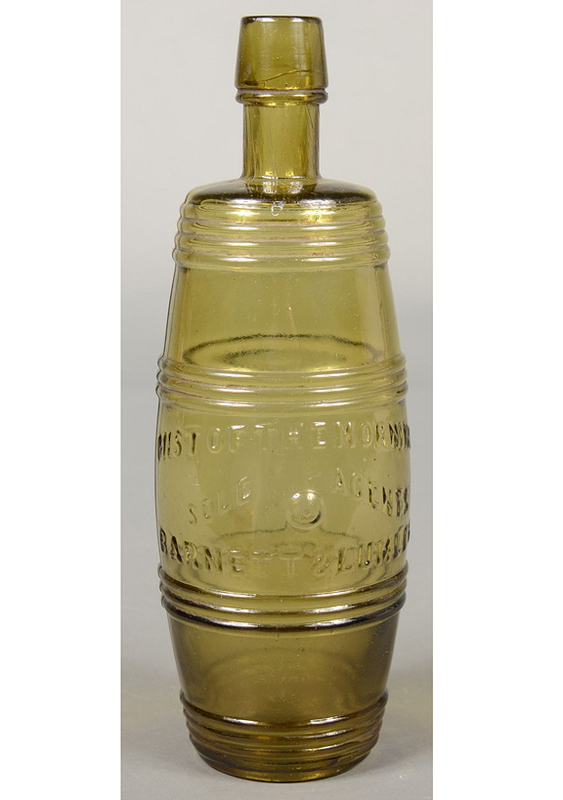 6. International Hotel - the author attributes this bottle to Virginia City, when a 2006 article in Bottles and Extras by Ralph Van Brocklin attributes this bottle as to be known from AUSTIN, Nevada. 7 & 8. Hermitage was a national brand put out by W. A. Gaines & Co of Frankfurt Kentucky. Not a Nevada brand. 9. Tahoe Whiskey Old Globe IS a Nevada back bar bottle. 10. A Fisher / Wells IS a Nevada back bar bottle. 11. Belmont was a brand controlled by the Belmont Distillery Company of Louisville Kentucky, NOT a Nevada bottle. I find it a real stretch to assume Belmont was from Belmont Nevada. That is like assuming #13 Livingston Whiskey to be from Livingston, Montana. 12. Miller - not sure, could represent Miller's Extra Old Bourbon a brand sold in the west, but attributed by the name on the bottle to Millers Nevada? 13. Livingston Whiskey was a brand used by the National Distilling Company of Milwaukee Wisconsin, again a national brand. 14. Manhattan XXXX - was a national brand advertised all over the East Coast, I've found many ads in North Carolina, Delaware etc offering this product, probably from Baltimore, MD. Yet attributed in the article from Manhattan, Nevada? Would you call a Lydia Pinkham's Vegetable Compound medicine bottle, found in the basement of an old Nevada drug store, a NEVADA medicine bottle, no you would not. In summary, I find that 3 of the bottles are Nevada bottles, with possibly the Columbia Rye IF "C. Thomas" proves to be a local Nevada saloon owner. About 45 minutes of research online gave me this information. Your thoughts appreciated and should I send my concerns to Martin Van Zant? Thank you! It looks like we are in agreement. I received the following letter this morning, from a respected Nevada collector, and felt that it was important to attach to the above article. There are actually two Belmont backbars: Belmont W.B. and Belmont W.B.&S. My research documents the second bottle. W.B.&S. stands for (Thomas) Warburton, (Frank) Brotherton and (Carl) Schaefer. These merchants are well known to Nye County, Nevada researchers. Warburton was a hotel owner in Belmont as well as a deputy sheriff, the county assessor and treasurer, a school trustee, deputy postmaster, and a member of the IOOF Nevada grand lodge. Brotherton served as Belmont’s postmaster, was the county clerk, a clerk in the judicial district court, and was also a member of the IOOF Nevada grand lodge. Schaefer, Brotherton’s brother-in-law, was a general merchant in Belmont. There are many, many billheads, receipts and ephemera that document the trio’s partnerships. They were brother Masons and active in both the IOOF and Silver Party and Republican groups. At one time, Thomas Warburton owned a hotel. This bottle, however, is from the period when the trio dealt in general merchandise. In a shrewd business move, when Brotherton served as Belmont’s postmaster he moved the post office into the general merchandise store. That they dealt in whiskey and bottled spirits is evidenced by a letter from a resident of Jefferson, Nevada requesting “a bottle of good whiskey be sent by stage”. Over-the-counter drink sales are proven by an extremely rare “Frank Brotherton, Belmont, Nevada 12 ½ cent drink or cigar” token. The W.B.&S. 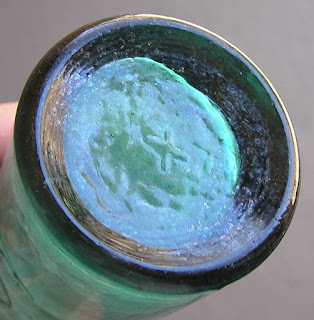 bottle was found in the 1950s in Belmont by a person who lived in both Belmont and Tonopah. It was subsequently purchased by Willie Manzini of Austin, Nevada. This Belmont, Nevada backbar bottle’s provenance is impeccable and certainly has not been faked. Can anyone provide information concerning a relationship between the Wormser and Mist of the Morning Barrels?